FIRST North Carolina is all about getting kids to like science. Could there be anything better than that? Kars4Kids doesn’t think so. Which is why we were happy to have a chance to partner in a small way with the work of FIRST North Carolina, in the form of a small grant. Think about it: cure for cancer? That’s only going to come from today’s budding scientists. But if they think science is a bore, kids will run in the opposite direction. 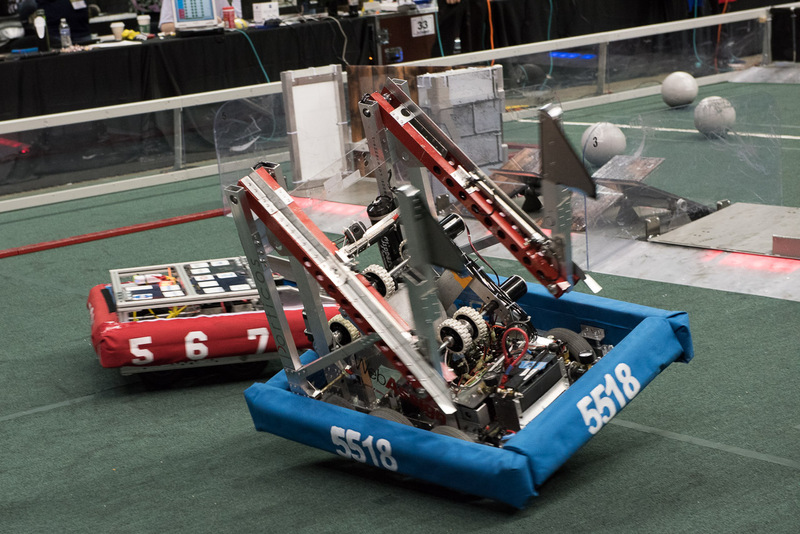 Enter FIRST Inspires, with Lego, tech, and robotics competitions for kids from kindergarten through high school. That’s the winning ticket to getting kids excited about and engaged with science. FIRST Inspires was founded in New Hampshire in 1992 with 28 teams in a high-school gym. Today, there are FIRST programs in over 85 countries. 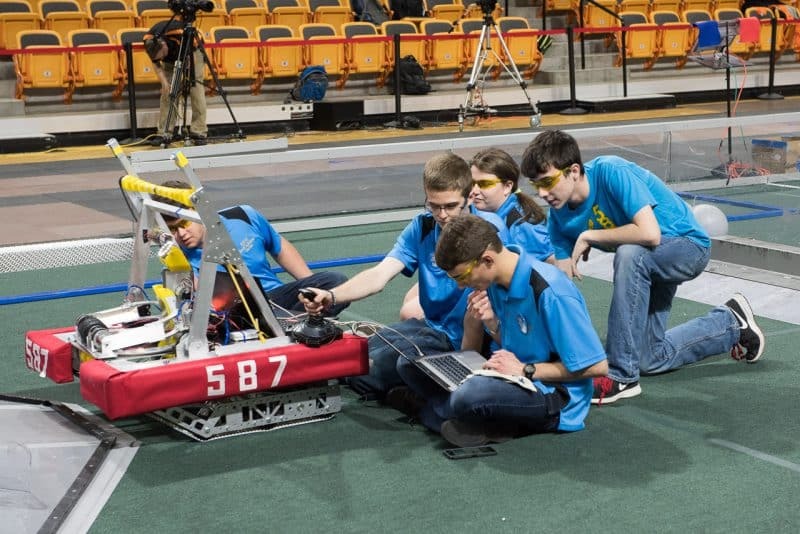 This academic year sees more than 460,000 students participating in FIRST competitions. FIRST North Carolina, our grant recipient, joined the FIRST family in 2012. We spoke to President of FIRST North Carolina, Marie E. Hopper, to find out more about FIRST. 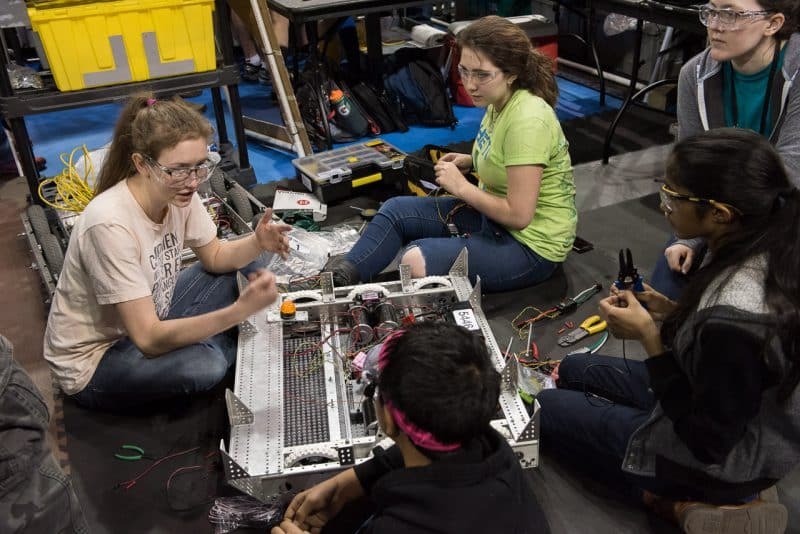 Kars4Kids: Reading about the FIRST Robotics Competition on your website, one is struck by the idea that FIRST welcomes all students, no matter whether they have or don’t have special technical skills. That’s awesome. Do you have any way to measure the impact on the kids who come in with no special technical skills? Marie E. Hopper: FIRST is in the middle of its second longitudinal study to answer that very question. The results continue to confirm what we all see every year. Among our preliminary findings: FIRST participants are two times as likely to major in science and engineering, and up to 88% of FIRST participants are more interested in doing well in school. Kars4Kids: FIRST is offering all those scholarships. 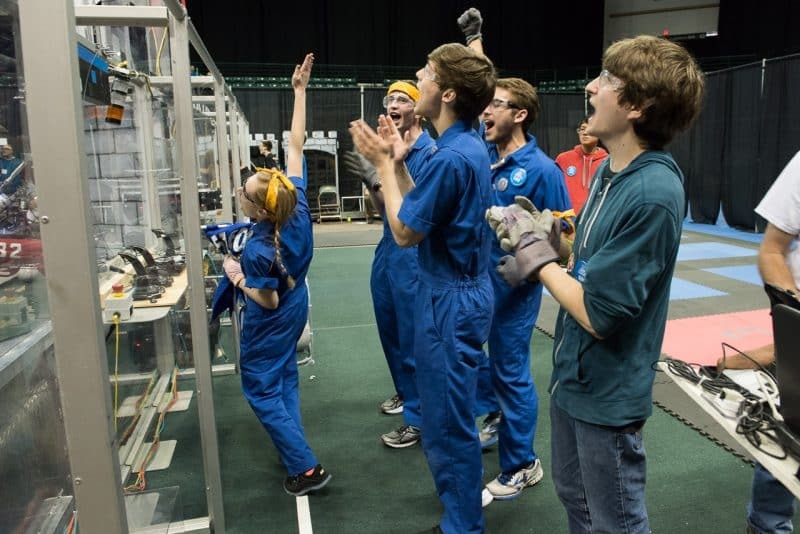 Do you think that’s a major incentive for participants in your Tech and Robotics Competitions? What percentage of North Carolina FIRST participants have received a scholarship? Marie E. Hopper: Great question and harder to answer. I personally think that the students don’t pay much attention to the scholarship component—they get hooked with the robot itself and the opportunity to work on a team with people who are interested in the same things that they are. The scholarship program is what attracts parental support and makes it easier for parents to encourage their students’ to participate. Unfortunately, we have no way to track or know how many FIRST alumni in NC receive scholarships. We depend on the scholarship providers to give us the data and it is spotty at best. 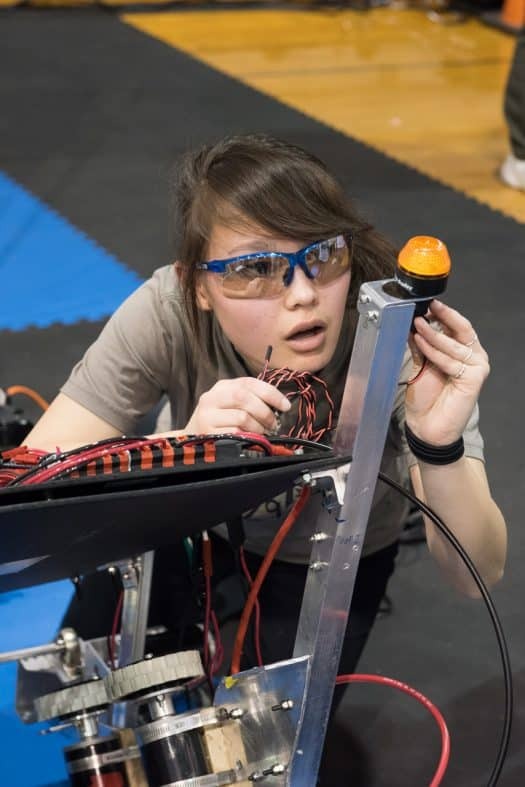 Kars4Kids: Do most FIRST child participants climb through the ranks from FIRST Lego League Jr. to FIRST Lego League, to the FIRST Tech Challenge and FIRST Robotics Competitions? Marie E. Hopper: While we believe the ideal is for students to progress through the programs, each level is set up so that students can enter at any point. We are just now starting to track the progress through the programs and do not currently have good data to know. We do know that we need to be in more schools for that pipeline to work effectively. Kars4Kids: How do participants find you? Do you actively work in neighborhoods, community centers, or schools to find participants? Marie E. Hopper: People find us in many ways—through TV Public Service Announcements, magazine articles, youtube videos, outreach events and word of mouth. We present at science fairs, community events, schools, etc., as a way to showcase the program and encourage people to start a team. We also present to businesses and industry to encourage support and volunteerism as mentors for teams in the area. 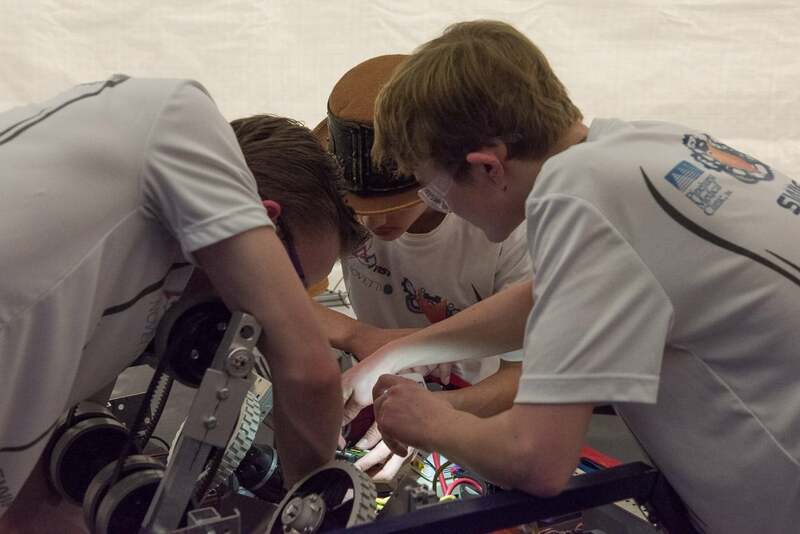 Kars4Kids: We like the phrase coined by FIRST‘s distinguished advisor, Dr. Woodie Flowers: “gracious professionalism” and “coopertition.” How do you make a child soften an overly competitive edge to get to the gracious part? Is that ever an issue? How do you get a more retiring child to get the gumption to get out there and get competitive? Marie E. Hopper: Great questions! In my personal experience I have found that the students “get it” much more quickly and easily than the adults! The games all have a cooperative element built into them such that teams will succeed by being cooperative and helpful. Gracious Professionalism is encouraged and rewarded with honors and awards. We celebrate it! This makes it more meaningful and something for which teams aspire to be known. For the shyer student, because it is a team-based activity, they have a place on the team and contributions to make that are appreciated and important to the team’s success. The number one piece of feedback I hear from our high school students every year is around the theme of finding a “home” and feeling accepted in FIRST. So many of our students are not the outgoing athletes and finding a place to hang out with people who are interested in the same topics is very impactful. Kars4Kids: We love the way you advertise on your website for volunteers! “Work many hours, make no money.” Your volunteers must be dedicated indeed. How many volunteers do you presently have? What is the ratio of volunteers to student participants? 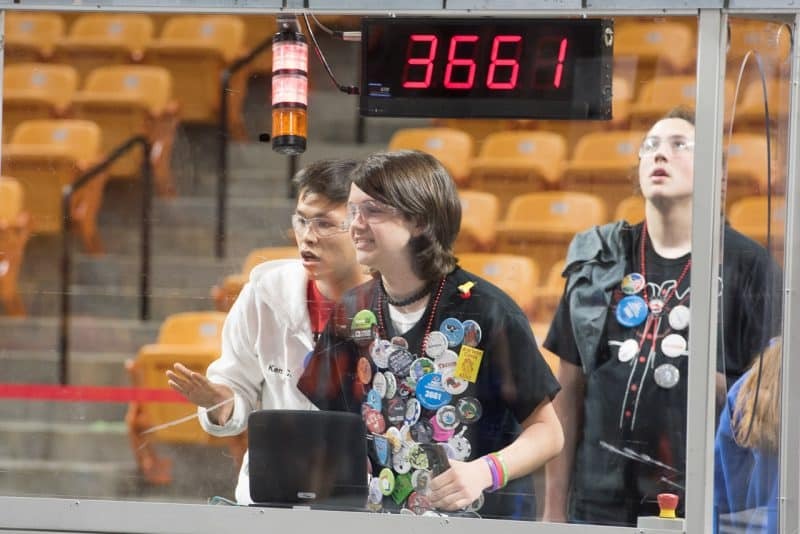 Marie E. Hopper: In North Carolina, we estimate that we have over 1500 mentors and coaches volunteering with the teams. In addition we have over 500 volunteers who work at our events across the state. The ratio depends on the program. 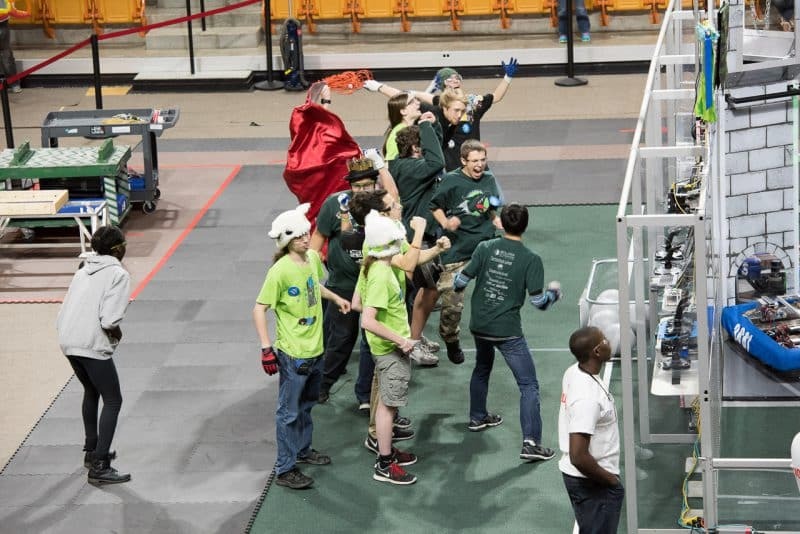 For FIRST Lego League Jr. it is typically 3:1, FIRST Lego League is usually 5:1 or lower, FIRST Tech Challenge is 5:1 or lower and FIRST Robotics Competition is about the same. Kars4Kids: Are the fees for registration ever waived based on need? Marie E. Hopper: We work with our sponsors to provide funding for the registration fees for teams in need. We have various grant programs and other opportunities. Our goal is to never leave a team behind because of financial challenges. Kars4Kids: Why should a parent want a child to enroll in FIRST programs? What is the main goal of these programs? Marie E. Hopper: By helping students to “think like an engineer,” we are preparing children to become good decision makers, regardless of their chosen field of study and future career path. FIRST empowers people to test an idea, fail fast and smart and to recover and learn. By learning how to work on a team, to solve problems together and to be proactive, we are creating a culture that can continue to make the world a better place. Kars4Kids: What would you tell parents thinking of starting a local FIRST program? Marie E. Hopper: It’s fun and easy and you don’t have to be an expert to coach a team! Provide a space and a time for the students to come together and watch them take off. There’s a large community of coaches and mentors ready and willing to help answer questions, provide guidance and support. Kars4Kids: What is special about FIRST North Carolina? Marie E. Hopper: We are touching the future and making a positive and real impact on the students in our state. We are helping to create a more educated and prepared workforce as well as an educated citizenry ready to solve the biggest challenges on the planet. And we are surrounded by the best volunteers and sponsors! Kars4Kids: What is the goal of FIRST North Carolina, going forward? Marie E. Hopper: We would like to ensure that every student in all 100 counties of North Carolina has access to a high quality FIRST experience.